A fabulous poster or prompt for student files to help them express continuity and change over time! Help your students explain continuity and change over time. After asking many students to give me different words that describe continuity and change, I realised they often lacked the vocabulary to do it! 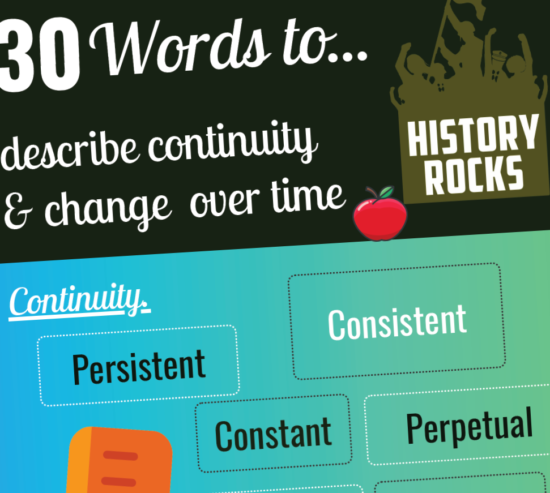 Created by the presenter of the History Rocks Podcast, this colourful poster offers 30 different words your students can use to explain continuity and change required in AQA A level History component 1 and other A level boards and GCSE units. You can give copies to your students to keep in their folder. You can also add a copy to your virtual learning environment. Add a copy to your classroom wall. 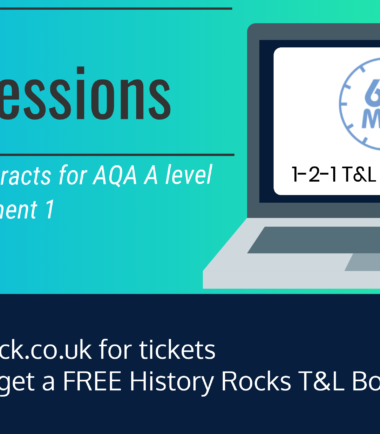 As a result, give a boost your students’ confidence, skills and marks! So what are you waiting for? Download your free poster today and help your students strive for better! If you find this poster useful, then why not check out our free poster on essay hacks! We’ve put together our top 5 essay tricks to help students aim maximise their results! 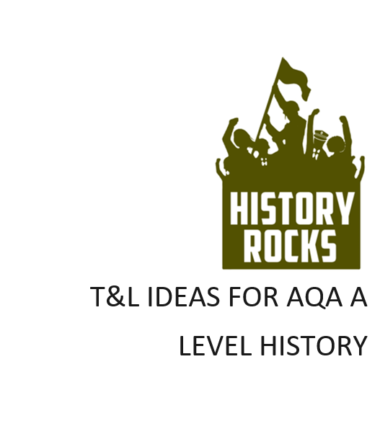 Don’t forget to visit our History Rocks Podcast where we provide a wealth of expert advice. Learn how to plan an essay or include analysis. Get guidance on how to approach provenance or tackle value. We LOVE to hear from you! If you want to reach out to us, head on over to our contact us page today and we’ll get back to you as quick as possible.